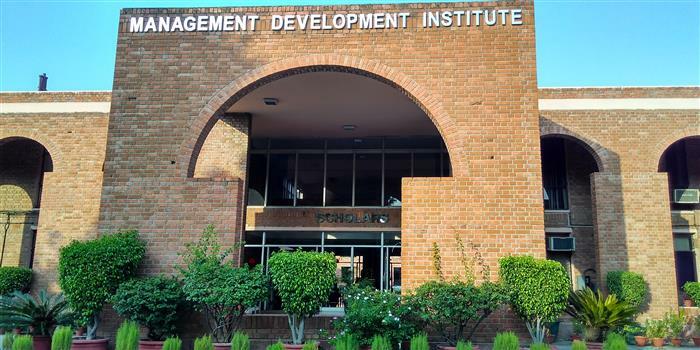 I joined MDI Gurgaon on 14th June 2018 and there have been many instances which I had not expected to see in college. Many of these experiences were nostalgic while some were new and could only be experienced while at a B-school. The incidence that I am going to share here is related to the one of a kind punishment that I had never seen earlier in all my days as a student. One of my colleagues had slept in the class while attending a lecture and the usual conduct on the Professor’s part would have been to go outside, wash his face or drink water. But something happened that I had never experienced in my life. The professor asked the guy to come to the front of the class and perform a dance number on one of the Punjabi songs since he is from south India. And it was the most hilarious moment in my classroom experience. Another guy was made the victim of the same act and was asked to perform on a desi spiderman song for one minute. The ABG group is pretty diversified one and the one company that I am interested in for working will have to be Aditya Birla Capital. It’s the financial advisory division of the Aditya Birla Group and works on various profile including Mutual Fund, Wealth Management, Portfolio Management etc. It was founded in 2007 and has turned profitable in recent times with the right ideology of the management and the right conduct of its employees. If given a chance to work for it I will choose the Portfolio management division to be my preferential choice as portfolio management gives you an opportunity to work closely with the financial market and focus not only on equity or fixed investment options but also gives you an opportunity to work on both these profiles or even more as and when the requirements of a client will change. You have to be aware of all the happenings around the globe and be prepared to be proactive while making decisions for your investor’s money. This is the right profile for any person who wants to know about the market and its instruments as well as who wants to learn with the new situations that arise as a country’s macroeconomic factors grow. As India is a developing country and we have just begun our journey in this segment we can expect a huge growth opportunity as our country grows more mature with time.